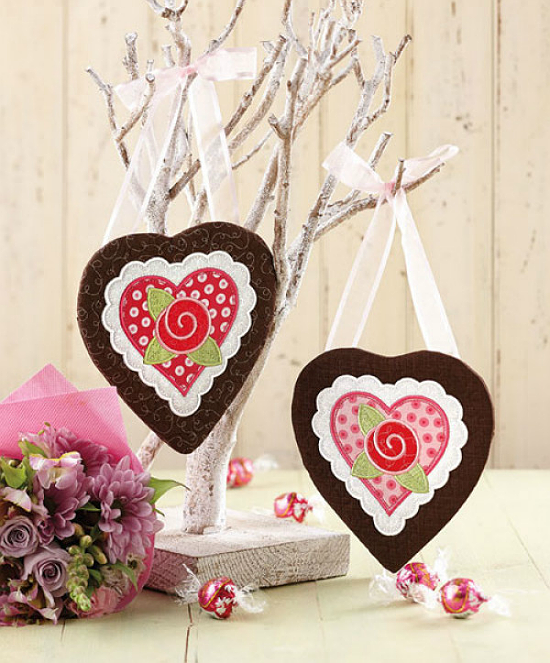 They Make Charming Decor and Sweet Valentine Gifts! 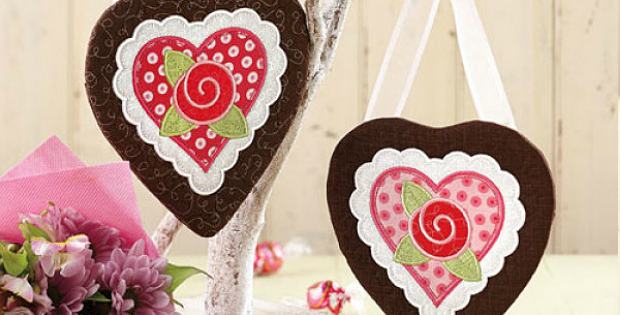 These lovely fabric hearts are perfect for decorating and for giving to special someones for Valentine’s Day. They have pretty ribbon hangers and hidden treat pockets on the back. Make several to display as well as to give, as they go together quickly. Fusible applique makes them easy to complete. Plus, this is a great project for scraps. Dig into your stash and pull out beautiful coordinating fabrics in Valentine colors. Make several hearts that are all the same or make each one different. The finished hearts, designed by Patrick Lose, are 6″ x 7″. Click here to purchase the “Valentine Treats” pattern.